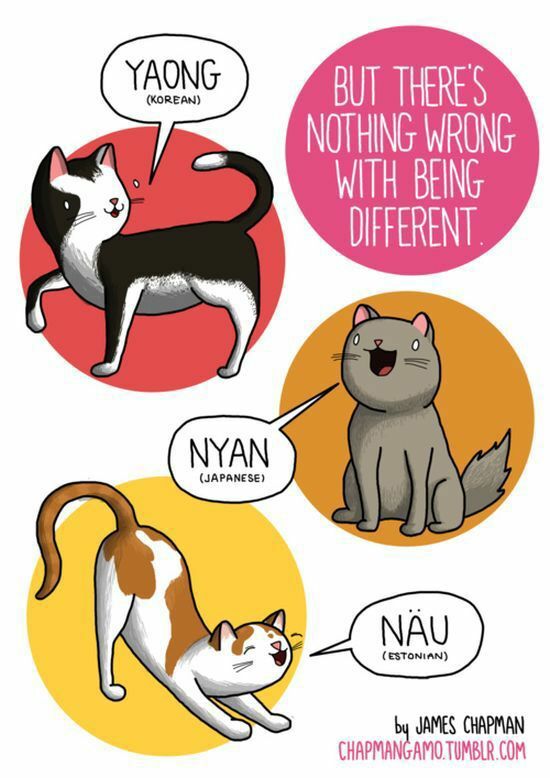 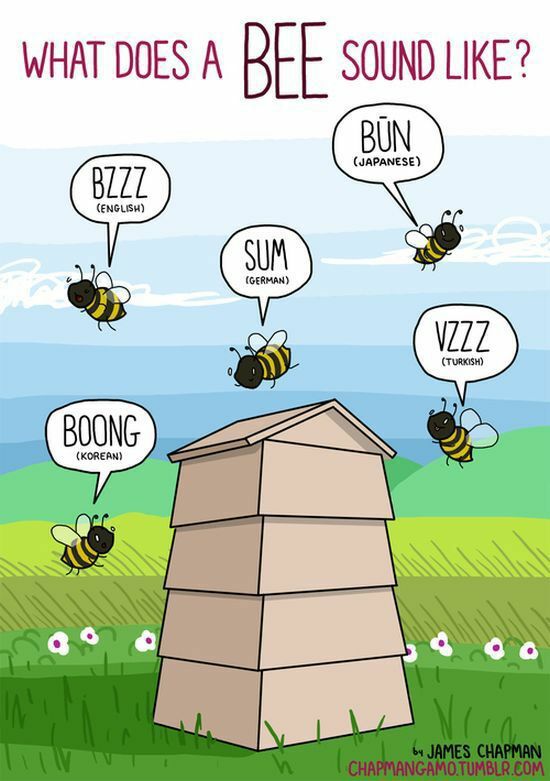 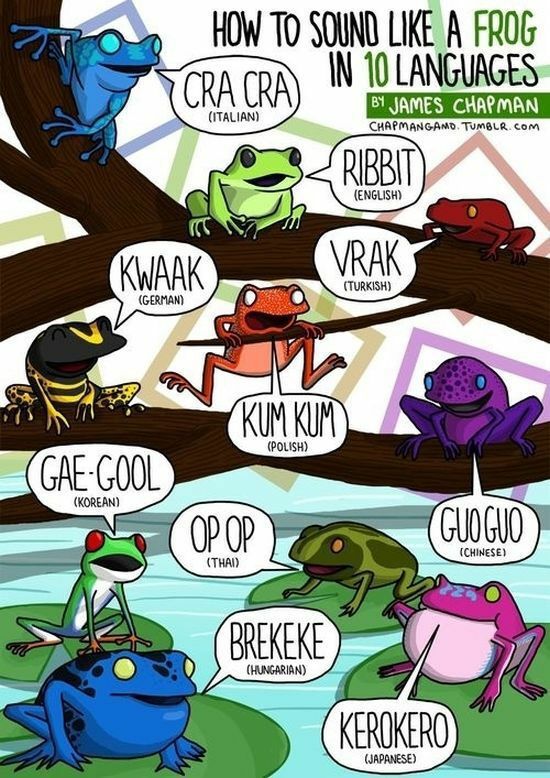 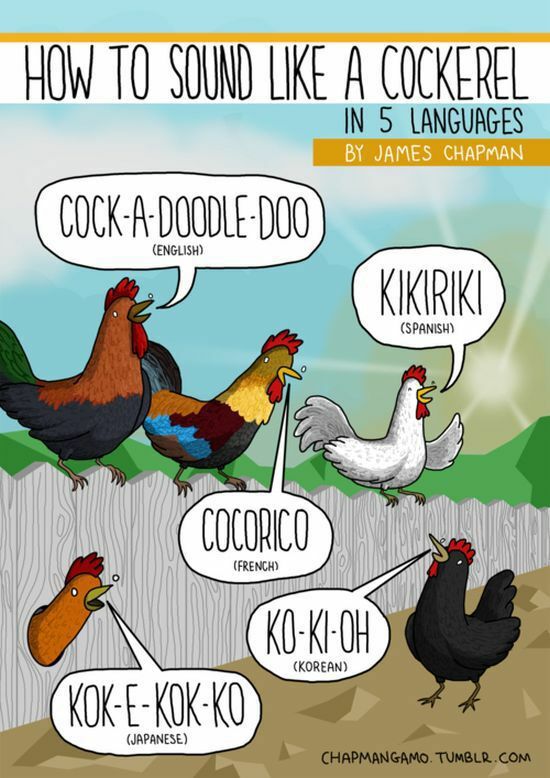 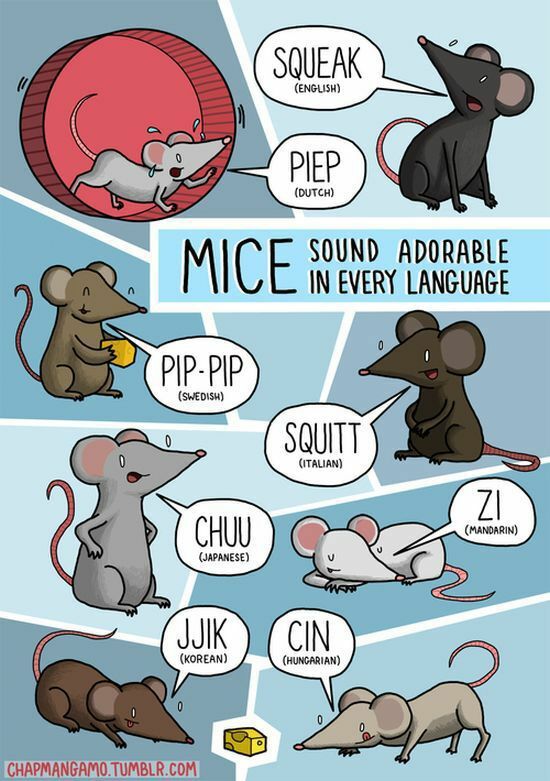 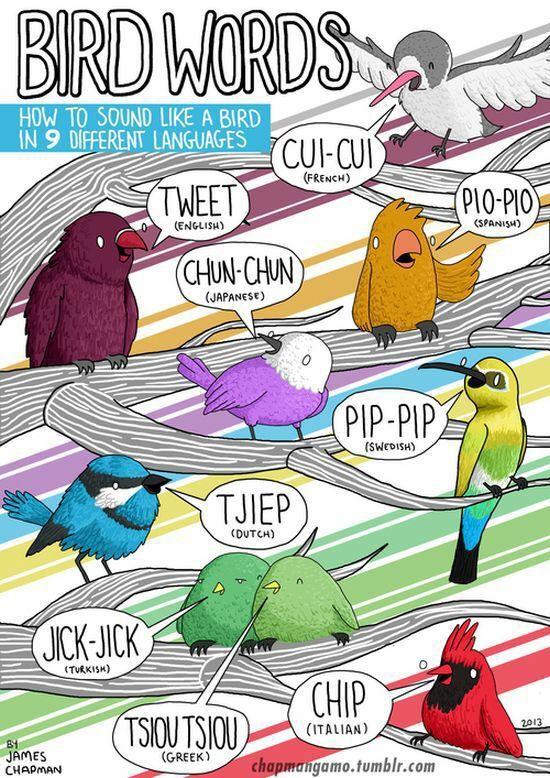 Manchester based illustrator, James Chapman has developed this one-of-a-kind guide to animal noises in 14 different languages. 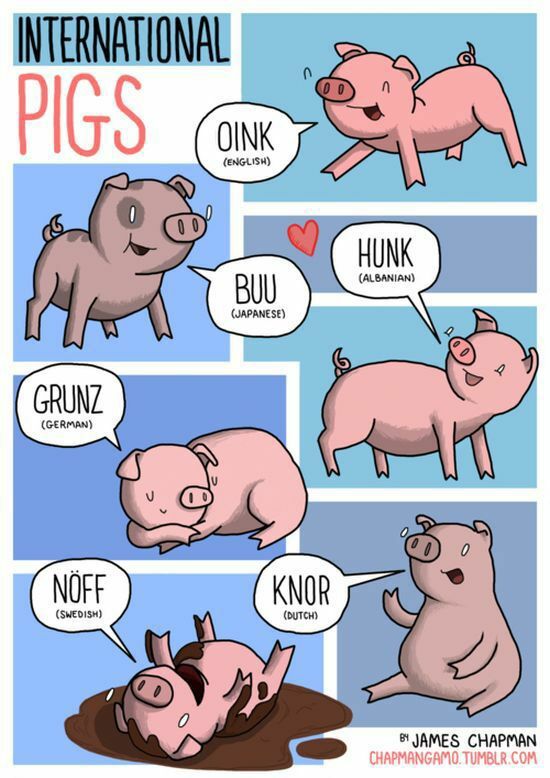 I've stopped looking when I saw the first picture.. Barking is translated to 'blaffen' in dutch. 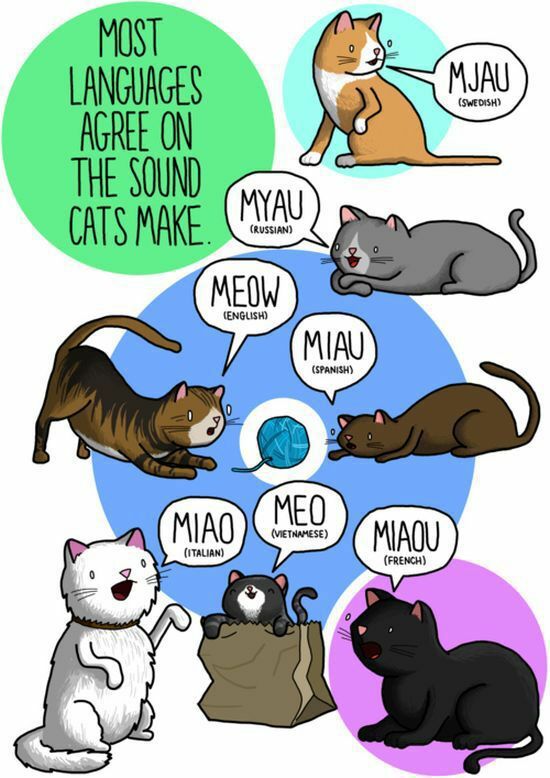 However, we say it sounds like 'waf', or even 'woof'. 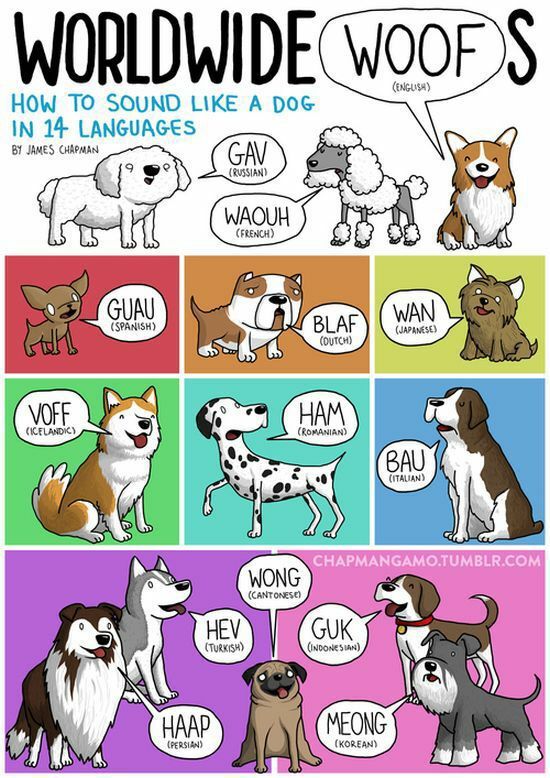 Blaf (which is a singular of blaffen) is just a translation of 'barking', it's not how it sounds like. 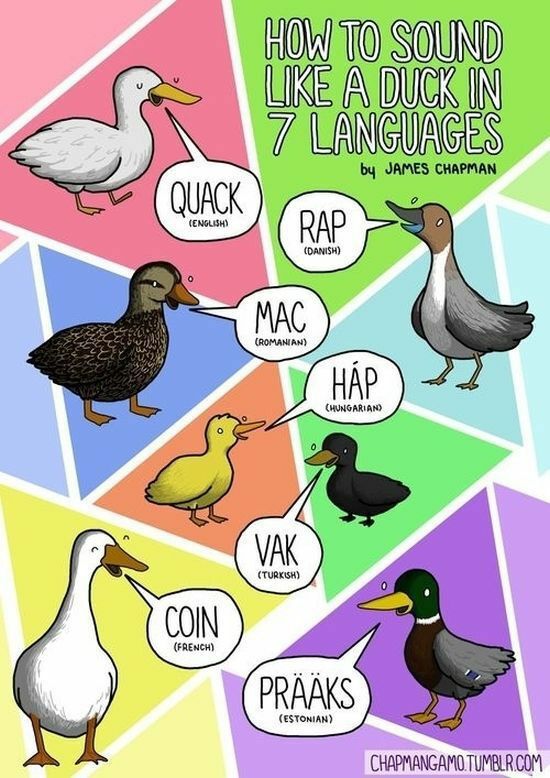 How am I supposed to believe that the other ones are correct?